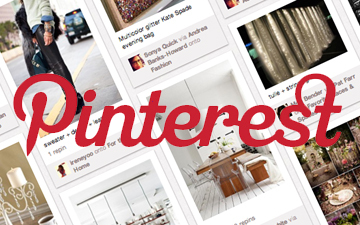 There’s absolutely no question that Pinterest is 2012’s hottest, new player on the social media scene. It’s everywhere! Pinterest is the wildly popular, visual social network that people are using to share virtual pinboards of their favorite photos, videos, and links. So, what exactly is Pinterest anyway? Think digital scrapbook. Think a new way to visually share your vision online. Pinterest is a digital bookmarking network designed to connect people through sharing their common interests. What makes Pinterest different, and so interesting, is that it is a visual social network, with emphasis on “visual”, that is easy to use and taps into one of social media’s newest trends – the interest graph. Unique visitors to Pinterest grew 400% from September to December 2011. Pinterest drives more visitors to third-party websites than Google+, YouTube and LinkedIn. Launched in 2010, Pinterest already has over 10.4 million members. Pinterest gives faith communities a creative, new way to connect with people and share the Gospel. Pin photos on Pinterest of people in your ministry serving others. Create a digital scrapbook of your church’s daily life. Use strong visuals to talk about Jesus. Highlight events, sermon series, books, video, film, and music. Small groups (youth, singles, women, et al) can create their own boards. Pinterest boards can be set up around twitter #hashtags inviting people to share images, photos, and blogs posts which can be pinned on Pinterest. Boards can be set up around themes and seasons such as Lent and Easter. Boards can be set up around faith topics and classes. Pinterest is unique in that it appeals to the creative side of people. Many people are fed by the visual arts, and inspired to deeper engagement with God by the things of beauty He has created. Pinterest provides a creative way to showcase your ministry’s personality and aesthetic in a fresh manner. In addition, it is a fantastic way to share visual devotional resources. Pinterest definitely challenges you to think more deeply about visual design when sharing content via this new social networking platform. We give Pinterest two thumbs up! How is your ministry leveraging Pinterest to connect in new and exciting ways?